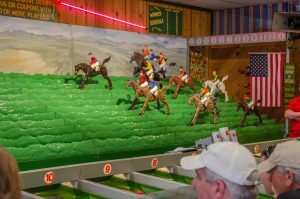 With games ranging from penny pinball machines to modern arcade-box games and even 12 player mechanical horse racing, The Manitou Arcade is quite the sight. There are a few hundred games on sight with some dating back as far as 1962. 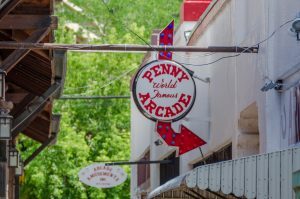 Tucked behind Patsy’s Candies on the 900 block of Manitou Avenue, the arcade appears like an old historic boardwalk with a ridiculous amount of classic arcade games under an overhang. 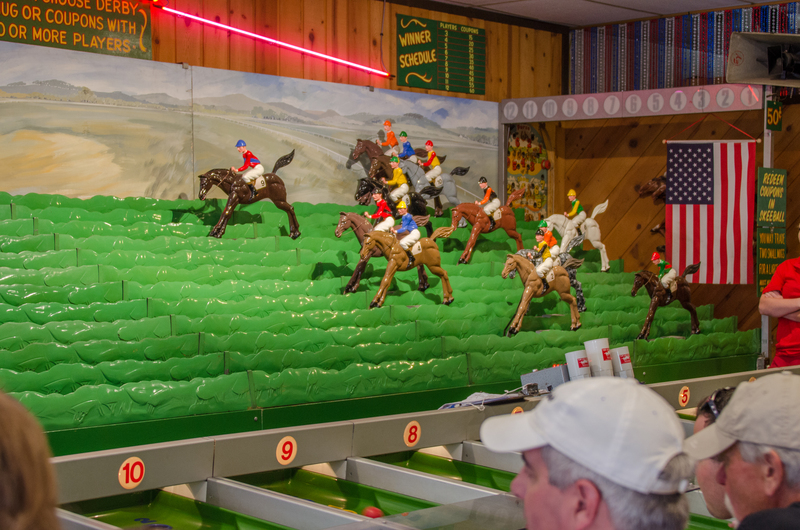 The multiple rooms are organized by what games are located inside such as shooting games, classic box games, or even an entire room dedicated to skeeball. 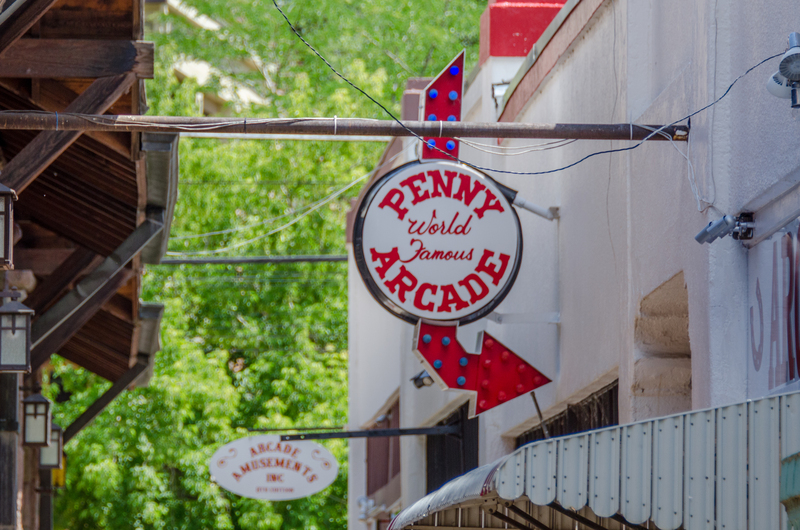 With half of the arcade located outside underneath overhangs, it is the perfect activity during a hot summer afternoon. Most games cost only a quarter to play with only some of the ‘higher-tech’ ones getting up to as much as $1. This means that you can spend as little as 5 dollars for hours of fun. 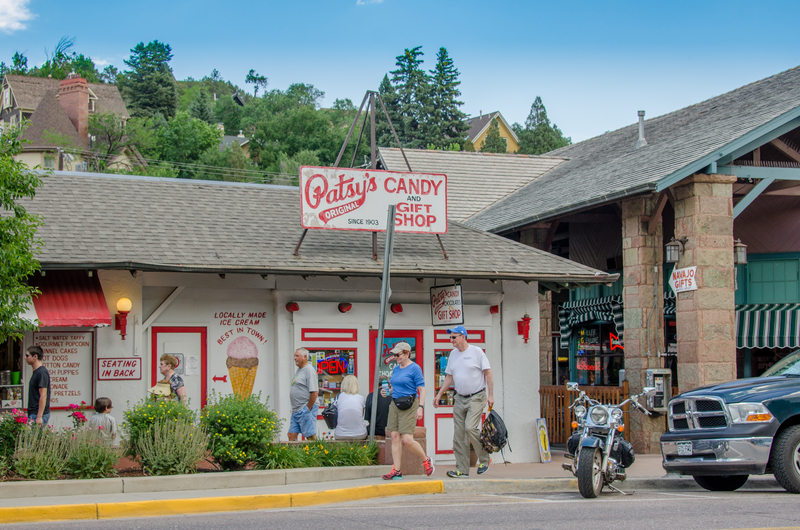 All in all, The Manitou Arcade is a pleasant trip down memory lane through a classic-style arcade. 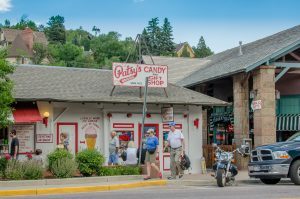 The creaky boardwalk coupled with the aged penny arcade games scattered throughout, is just as much a treat as finally getting a handful of tickets from the skee ball game that was the bane of your existence as a child. 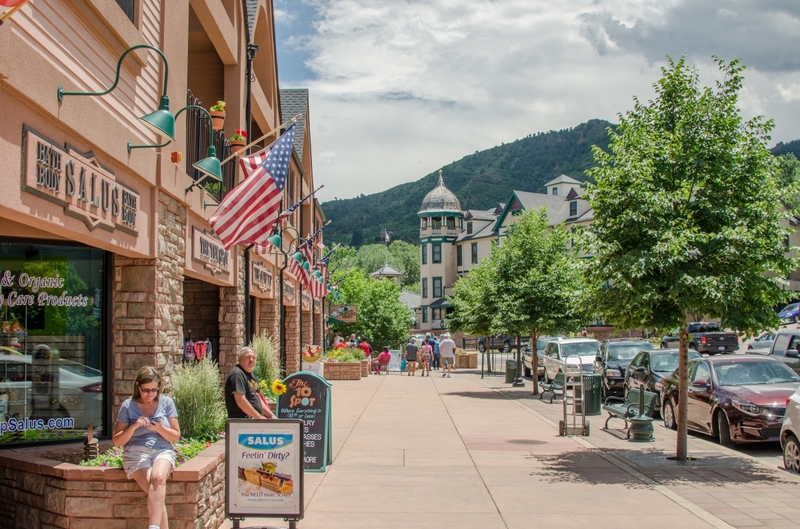 This entry was posted in Attractions, Community and tagged arcade, colorado, colorado springs, Manitou Springs. Bookmark the permalink.